No matter the condition and position of the gutters of your property, we can clean them and ensure the proper functioning of the downpipes. 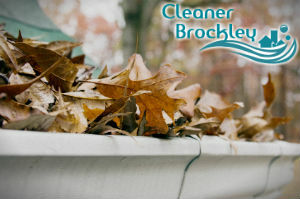 Our gardeners are experts in gutter cleaning which we provide in and near Brockley at competitive rates. The work of our staff is implemented with the help of advanced and effective tools which ensure complete removal of debris, moss, leaves, grass and soiling that get trapped in the pipes. The work of our staff includes using telescopic poles, ladders, dry vacuum cleaners, CCTV cameras and other tools. We can offer you safe and effective cleaning done without the need of entering in your property. Our company specialises in professional cleaning of all types and models gutters. The work of our staff is qualitative and safe, implemented according to the requirements of the local authorities. The cleaning will be provided with telescopic poles, vacuum cleaners, tiny cameras or ladders whenever possible. Our staff can get to higher located downpipes using telescopic poles which can be extended, use cameras and special dry vacuum cleaners. They can remove leaves, moss, grass, bird nests and droppings, mud, debris and roof brick particles from the internal and external surfaces of pipes. 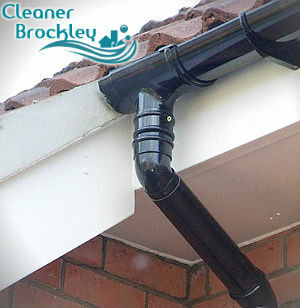 The gutter cleaning, provided by our company in SE4, guarantees excellent results and long time functioning ducting. Call us to schedule the service and receive a no-obligation free quotation. If the downpipes of your property need cleaning, which is work recommended to be implemented at least once each year, contact us. Our gardeners are supplied with the latest and most effective tools and equipment for the work and can do the cleaning whenever the owner needs it. Feel free to call us and schedule your gutter cleaning and leave the rest to the professionals in our company, based in Brockley. We have reasonable rates and our services guarantee no blockages, leaks or overflowing of rainwater in houses, flats, office and other kinds of buildings.